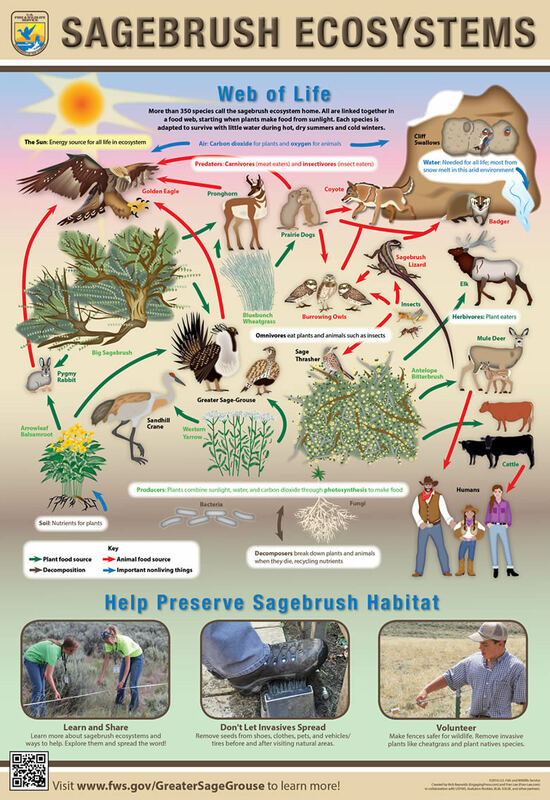 Rick Reynolds created the Sagebrush Ecosystem poster in collaboration with Fran Lee, the U.S. Fish & Wildlife Service and other partners, including Audubon Rockies, the Bureau of Land Management (BLM), and the Idaho Rangeland Resource Commission. Learn more, request printed posters, and download high resolution PDFs and other resources on the Service’s Greater-Sage Grouse Education page.